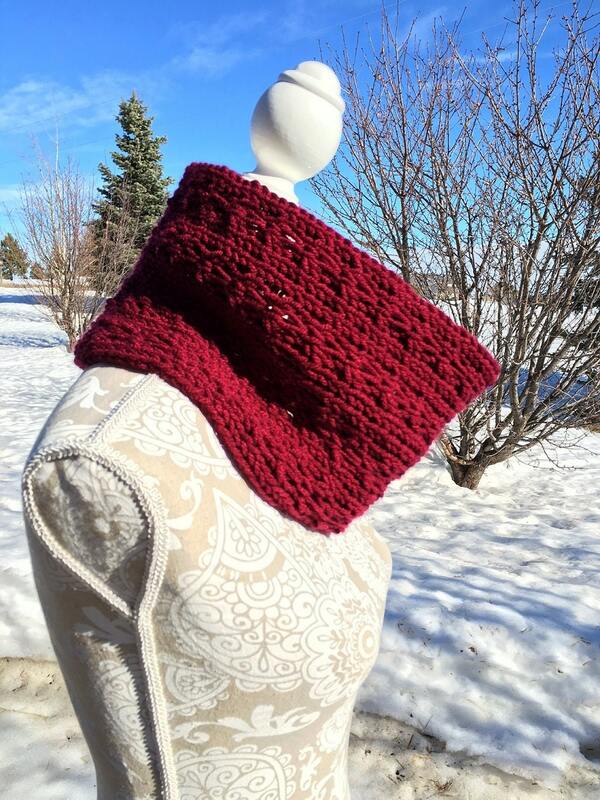 In a couple of evenings you can knit up this toasty warm infinity scarf. The scarf is created on the yellow Knifty Knitter long loom with a bulky yarn. It is double-knit, making it nice and warm and stylish for your outdoor activities this winter. 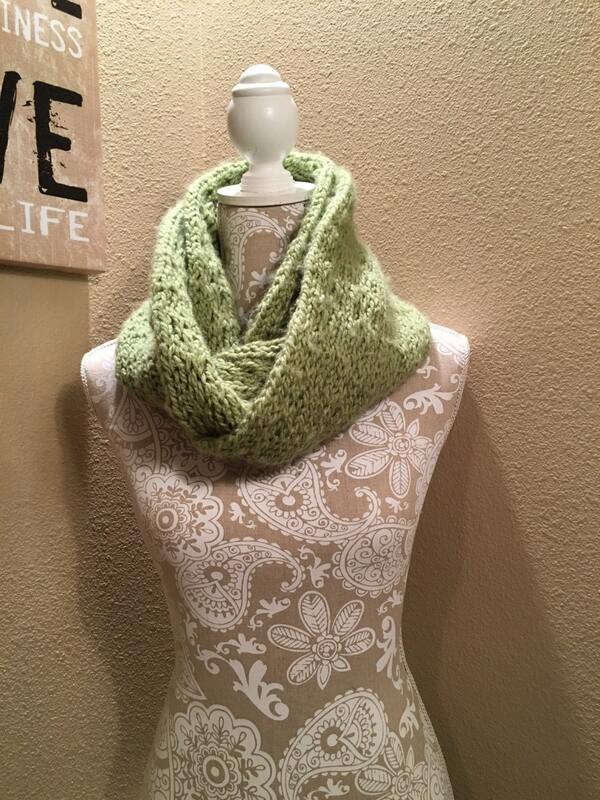 This infinity scarf is easy to knit…suitable for a beginner who has basic knowledge of double-knitting. Yet the little bit of lacing throughout the pattern makes a really lovely texture and design. 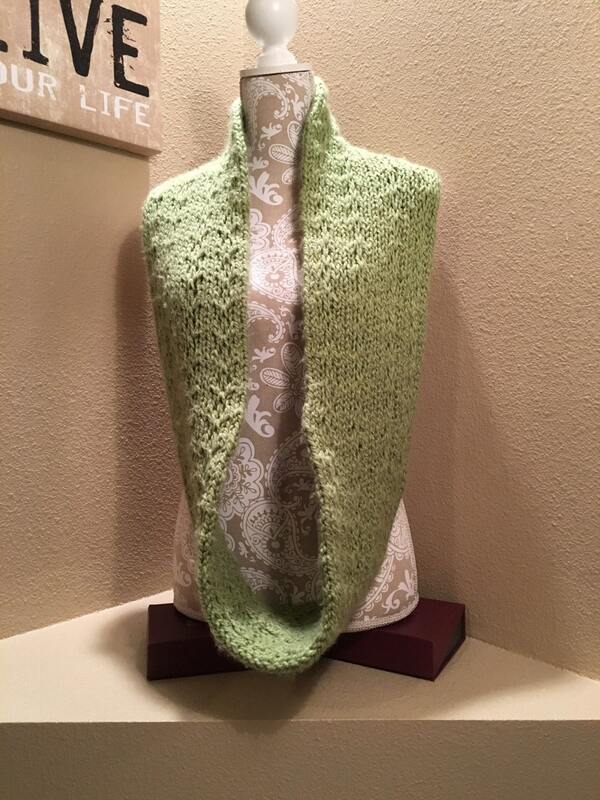 The green scarf pictured was knit with a bulky weight yarn. 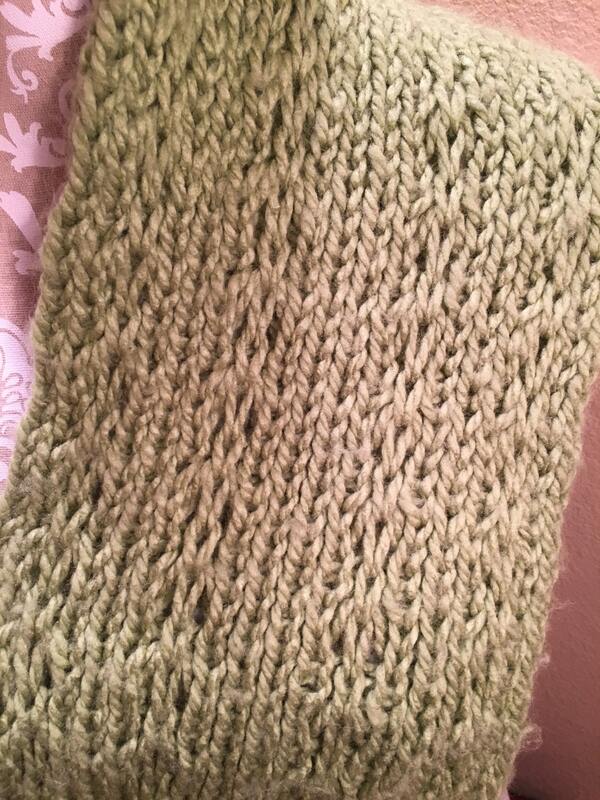 But this scarf looks every bit as lovely with a worsted weight yarn as it “opens” up the lace feature a bit more. 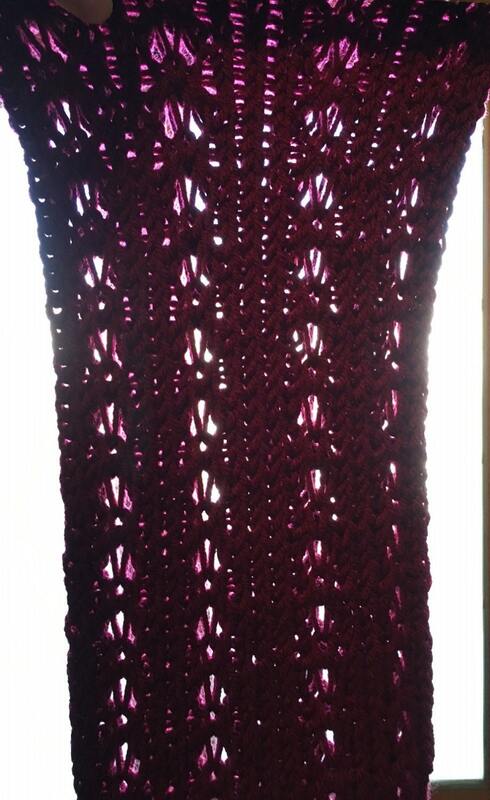 You can see this clearly in the burgundy scarf that is being knit with a worsted weight yarn.